This week and after 18 years of service, EmuParadise terminated all retro game downloads in response to a Nintendo lawsuit targeting two other download portals. While Nintendo might see this as a big win, the Japanese gaming giant - which has turned out some of the best titles of all time - doesn't seem to understand that this is a movement that will never be tamed. While these events have probably resulted in congratulations being shared among colleagues back in Kyoto, few gamers will join in the celebrations. Quite simply, most don’t understand why the company chooses to be so aggressively protective. For the purposes of this discussion, let’s work on the assumption that distributing and obtaining ROMs in order to play retro games is the same as any other kind of piracy. It breaches the rights of gaming companies and can result in a copyright lawsuit, like the one leveled at LoveROMS.com and LoveRETRO.co. Now let’s view this from the position of the average retro gamer. Obtaining ROMs, in order to play retro games, does no harm. The titles themselves are often decades old, run on obsolete hardware, and have already covered their costs a thousand times over. With all that in mind and considering many gamers are currently buying new games, they’ll be wondering what the hell the problem is and why gaming companies are being such assholes? It cannot be denied that Nintendo has produced some of the greatest games of all time, with titles such as Super Mario 64 guaranteed a spot in history for being both ground-breaking and absolutely magical. But despite its incredible ability to manipulate players’ emotions in ways other developers never have, Nintendo seems to underestimate the emotions experienced by retro gamers every time they play. This week, when EmuParadise ceased offering downloads, site founder MasJ revealed some of the touching stories emulator fans have shared over the years. “We’ve had emails from soldiers at war saying that the only way they got through their days was to be lost in the retro games that they played from when they were children,” he wrote. As these examples show, classic games from many years ago have the ability to trigger waves of nostalgia that can be beautifully overwhelming. From associating a particular title with a specific time and place in personal history to stirring memories of long-since disappeared yet cherished friendships, the emotions are like nothing else in the gaming world. “When we experience nostalgia we tend to feel happier, have higher self-esteem, feel closer to loved ones and feel that life has more meaning. And on a physical level, nostalgia literally makes us feel warmer,” explained psychology lecturer Erica Hepper, Ph.D. in a 2013 interview. One has to understand the power of this emotional attachment to appreciate why retro gamers are so passionate about their pastime. Retro games provide a fix that no modern game – despite their technical brilliance – will be able to provide for another 10 or 20 years, until they too become old and soaked with distant memories. 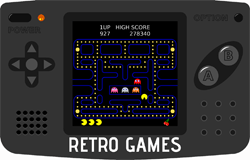 Retro games are able to transport players back in time, from stolen moments in high school to the arcades that first exposed many of us to video games themselves. From the moment they view the intoxicating attract mode on the brilliant Hyperspin, they’re transported back. And when that first coin hits the virtual slot of any number of emulators, nirvana has truly arrived. It is this shared appreciation of the beauty of retro gaming that holds communities like the one found at EmuParadise together. While the site no longer offers ROMs, its members have entire libraries of games at their disposal and nothing short of Nintendo physically turning up at their homes will stop them from enjoying them. More importantly, perhaps, those players will also share their ROMs with whomever they like which, according to experts, seems more likely when nostalgia is involved. “In strongly nostalgic states, individuals are shown to be more likely to commit to volunteering or other expressions of altruism,” a 2014 piece in the Guardian notes. This sounds like the perfect breeding ground for ROM sharing but it’s just a small taste of what drives communities like EmuParadise. It’s also important to note that the mindset behind ROM ‘piracy’ is unlike that commonly associated with movies, TV shows or music. While the latter are largely available to potential purchasers, most ROMs only exist in unofficial form. There is no way of paying games companies for the pleasure of playing most of them since they’re simply not for sale and especially not in the required all-you-can-eat format. “Unfortunately the video game industry is quite fragmented so unless the big publishers get on board, a Netflix-style system is nigh impossible,” MasJ says. This glaring lack of legal alternatives means that most ‘black market’ retro gamers don’t think they’re committing a crime, which is a huge stumbling block for enforcement. When there is no respect or support for the law, people have few qualms about breaking it. Indeed, due to the massive time invested in retro gamers’ ROM collections, prising ROMs from players’ cold, dead hands might be the only forceful solution to this problem. So with three major sites now out of the ROM equation and no sensible legal options available, is it now ‘Game Over’ for retro gamers? Will they walk away defeated or will more resources appear to fill in the gaps? “I don’t think ROMs will be harder to find,” MasJ predicts. Unfortunately for companies like Nintendo, retro gamers have grown accustomed to everlasting credits and it won’t be long before the familiar yet depressing minor key tones associated with character death transform into the chirpy and optimistic tones heralding “Ready Player One”.